The sound of wind rushing around the exterior of your vehicle, coupled with the relentless hum of rubber tires rubbing on rough road surfaces, can create an unpleasant sound level in your vehicle's interior. The advancement of consumer sound deadening materials have made the process of reducing car road noise a straightforward task. By reducing the noise in your interior, you will be able to listen to the radio at a lower volume, hold conversations, and focus on your driving responsibilities. 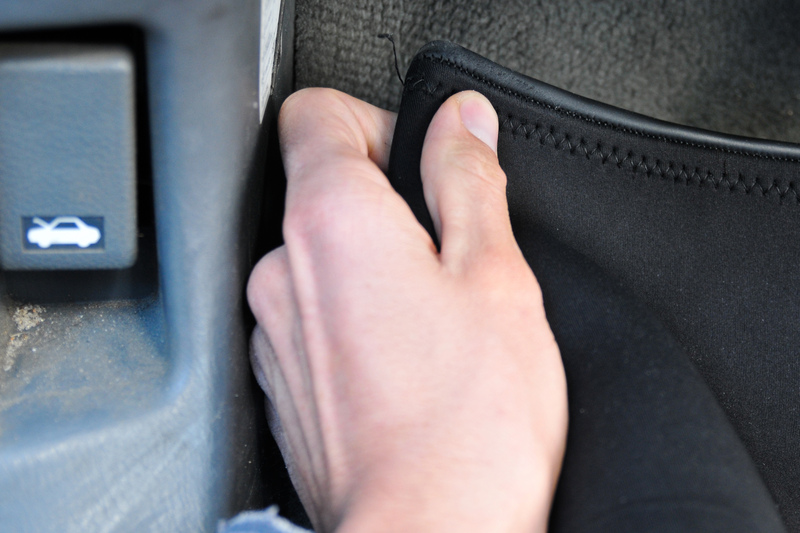 Line the floor of your vehicle with insulation liners to reduce car road noise in your interior. The liner is usually made of a foam or tar material, and, because of its density, cancels out wind and tire noise emanating from under the vehicle. You must first remove the seats and any interior trim components that inhibit your ability to lift the carpet out of the vehicle. 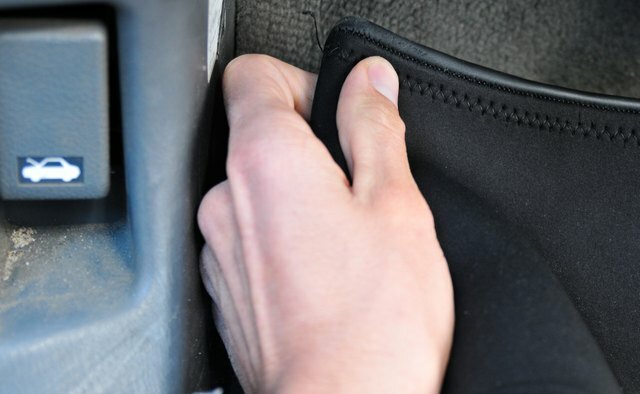 After the carpet is removed, you can apply the liner with a wall-paper brush to the vehicle's floor pans. Once you are done with the liner application, you can place the carpet on top of the insulation material. 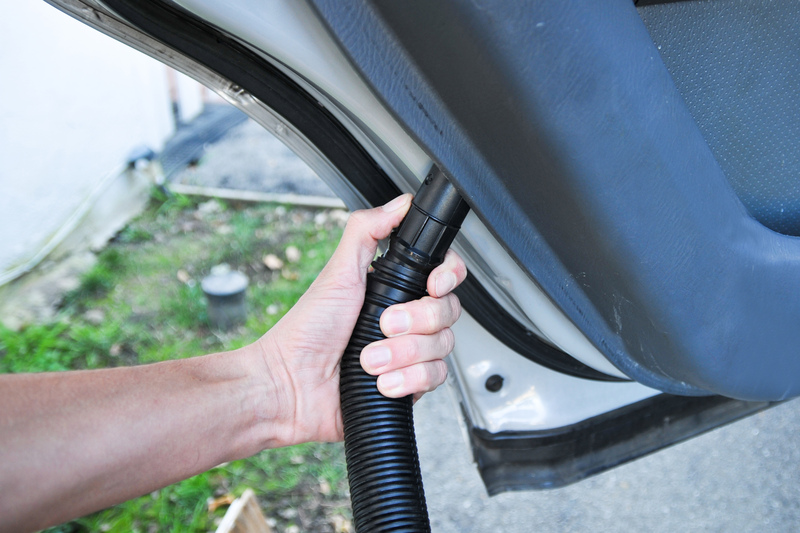 Spray foam insulation inside your vehicle's doors to counter car road noise. The inside of most vehicle doors are hollow, containing only the window and door-locking mechanisms. This hollow space allows road noise to permeate the interior, as well as echo within the inside of the door structure. You can buy aerosol foam products that expand inside of tight spaces in order to soundproof your interior. You must first remove the interior door panel of your vehicle in order to access the inner door frame. Once you have access to the inside of the door, spray foam material in any open space that does not surround the window. Avoid spraying foam on the window because this may cause the window to stick inside of the door. 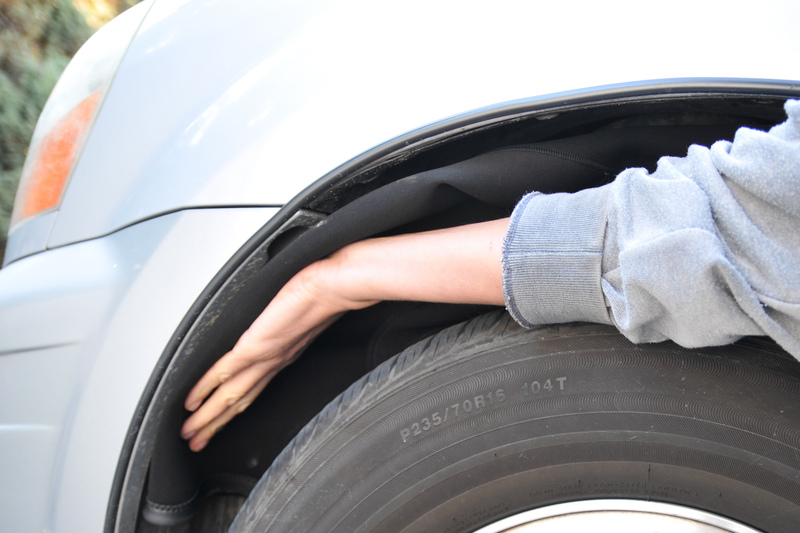 Line the fender wells of the vehicle with tar or foam liner to reduce the car road noise created by the tires. The fender wells of most vehicles are constructed from thin sheet metal and a layer of plastic. As the tires create loud friction on the road, the noise carries through the metal and into the interior. Remove any dirt or debris from the inside of the fender wells, and apply the liner so that it is flush in the wheel well. The liner will have an adhesive backside that can be applied like wallpaper to a home.